Pigeon guano can result in permanent damage to the structure of your building or equipment if it is not dealt with correctly. Areas such as roof structures, balconies, machinery, ventilation systems and lofts provide birds with sheltered spots that are ideal for roosting and nesting. The birds then leave their waste in the building or area it has chosen to nest in. Pigeons can perch and fowl the walls and walkway below. Cleaning with biocide disinfectants were used for this solution, along with pigeon netting in-between each post. 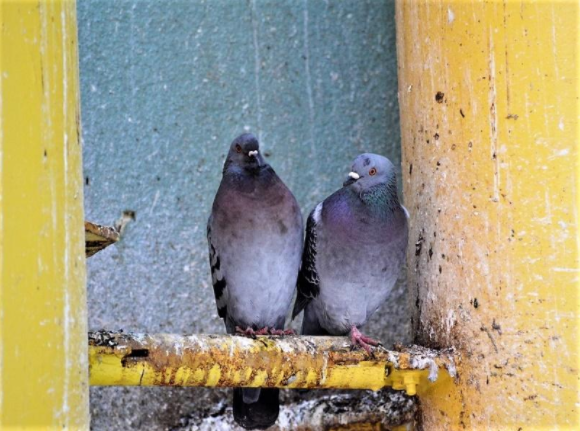 Specialist biocide disinfectant application and removal of pigeon guano is performed in a safe and efficient manor to prevent contamination spreading from nesting pigeon colonies. 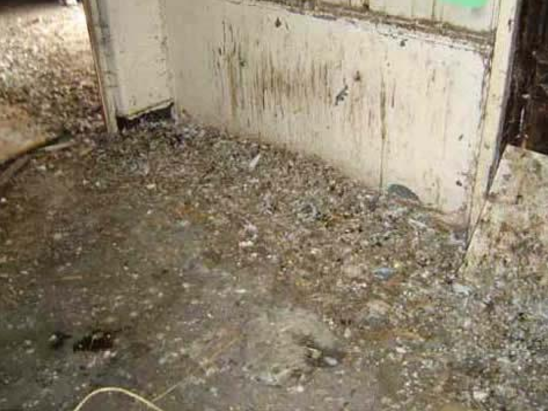 In this derelict commercial building, pigeons have been roosting and nesting for many years, so heavy biocide disinfectants were used to decontaminate the areas before the pigeon guano and debris were removed from site.